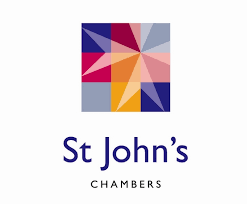 St John’s Chambers is one of the largest barristers’ sets in the South West, with over 80 members including seven silks, specialising in all major areas of law. Representing regional and national law firms we act for and advise prominent businesses, private individuals, local and public authorities. We also provide advice and representation under the public access scheme to planning consultants, managing directors, doctors and also members of the public. Our aim is to provide clients with an exemplary service from our barristers with an accurate and timely turnaround of work. Through our highly capable team of clerks, St John’s Chambers offers clients an approachable and efficient service ensuring the right barrister is instructed for the relevant case. Each individual barrister gains an in-depth understanding of the needs of clients by engaging with them at all times and adapting to regular changes in the legal services to ensure the delivery of the highest standard of advocacy. St John’s Chambers is Bristol Law Society’s Chambers of the Year 2015/2016.